An Asian reaction to someone with SPM as their highest accreditation is first, sympathy. Then, “Oh dear, their future is ruined”. Well, at least that’s what my mom said as she sent me packing to university. Joseph, co-founder of Jobbie Nut Butter begs to differ from that norm. This was the mentality that kept Joseph and Debbie persevering through all of the naysayers that never thought they would succeed in life, through years of working odd jobs to create capital, and later through a disappointing first year of business. Now, Jobbie Nut Butter has been making RM20,000 to 30,000 a month, and sell approximately 1,000 to 2,000 bottles monthly. They’ve finally begun to see profit in their third year, though the pair are determined to reinvest it into the business. After finishing their SPM the pair began their journey through odd jobs, characterising it as “stepping into the real world”. They had no expertise, no experience, no college or university qualification, and not even a car. This allowed them to accrue the approximately RM10,000 of cash that was pumped into what was then known as Walao-Eh!!! Peanut Butter (“One of those embarrassing garage band names you came up as a teen right?” quipped Joseph). Most of that initial capital was sunk into buying simple peanut butter making equipment, basic furniture, raw material and paying rent. Since the past decade or so of the industrial age, coping with a large volume of orders meant that “many harmful additives were added into the product,” said Joseph. To the pair, proper peanut butter actually contains high nutritional value. Joseph and Debbie felt like Malaysians deserved to taste what they called “real food”. Despite lacking culinary skills, the pair managed to develop a proper standard of procedure for their peanut butter. 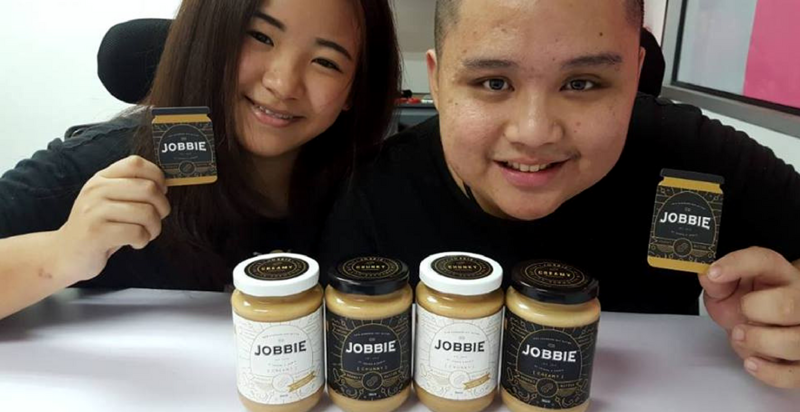 To develop jars of Jobbie Nut Butters, the pair works to ensure that the texture, aroma and flavour of their nut butters cater to the Malaysian taste. Previously, all of the peanut butter was made inside a rented house, with only Joseph and Debbie working on the entire operation from development to sales—apart from a part-timer that comes in during the weekends. They now have a factory and office of their own. Their early research and development phase was pretty much “pestering” aunties and uncles on public transport to try their peanut butters. Afterwards, they took “Walao-Eh!!! Peanut Butter to booths and weekend supermarkets for 6 months just to gather feedback, as neither had any culinary skill. It took the pair 6 months to finally rebrand into Jobbie Nut Butter, and this was when they began to open up their supplying game to other avenues—café’s, restaurants, retail, etc. 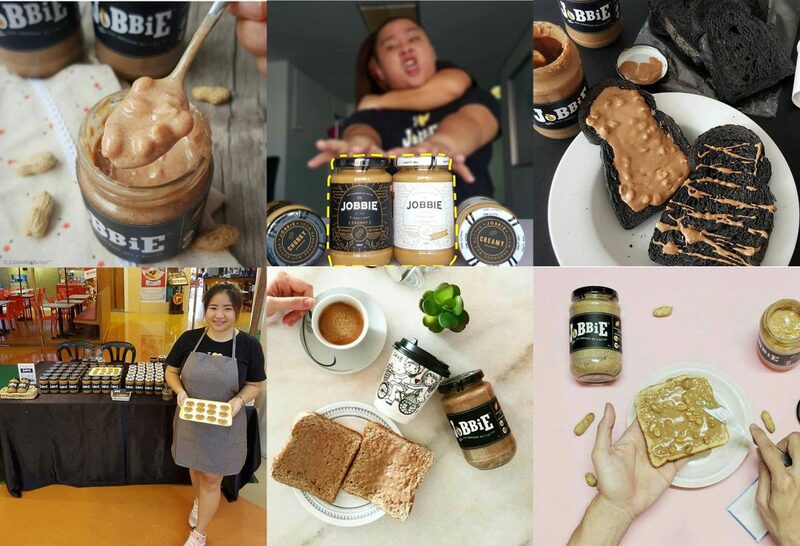 Jobbie Nut Butter capped off their first year with only RM28,000 made—abysmal. They kept themselves going in the early years by keeping themselves stressed. Although they’ve come far from their early days, Joseph and Debbie still feel like their inexperience hinders them until today. In the near future, they’re looking to import better machines to perfect their butter, dive more into the food industry to learn more about food safety and manufacturing processes, and make their product more accessible to more countries, with Singapore as the first target. 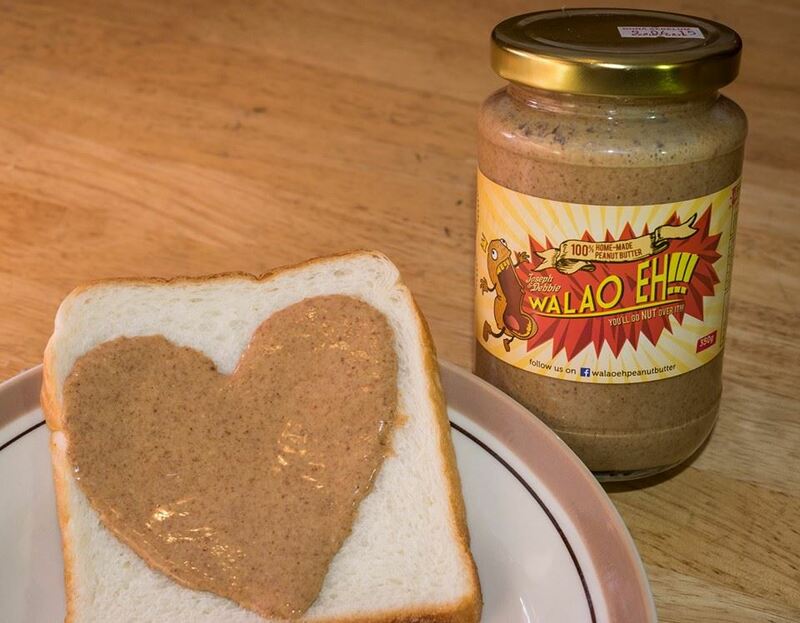 The pair aims to be the number 1 peanut butter brand in Malaysia, and it never changed since the beginning.